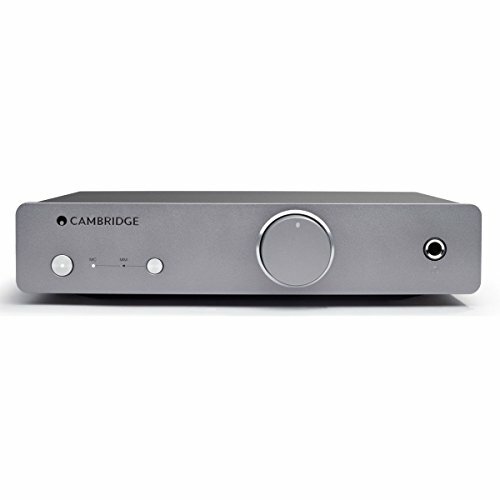 Cambridge Audio’s new duo phono stage is a bargain, says Noel Keywood. 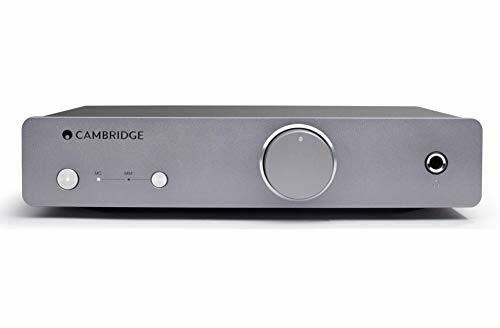 Cambridge Audio cruise things like analogue phono stages, that are a technological pimple in the wider electronic landscape presented by digital. And that’s obvious with the little Duo. For this you get a small box that connects between turntable and amplifier (because that’s what they do) so as to play LPs.Yet it’s sophisticated inside, perfectly manicured to do the job properly where most are not. Physically, there’s very little to the Duo. It is a small, lightweight and unassuming grey box. 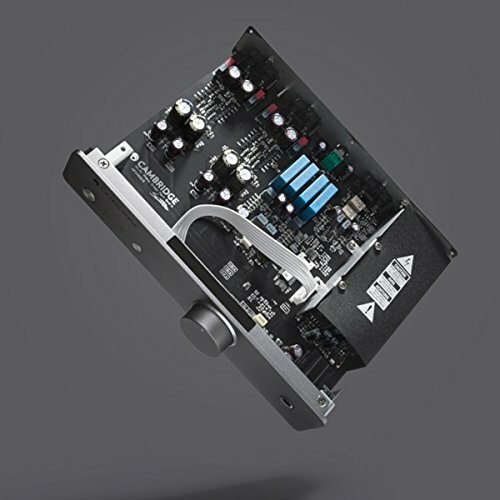 The volume control – here comes a gripe – affects only the headphone output, which I think is an opportunity lost: gain from input to line output is fixed, and gain via the headphone output too low to drive most power amplifiers direct. direct, something I like to do as it makes for a pure and simple system. Neat internal construction reveals the quality of the Cambridge Audio Duo phonostage. At a price of £250 it puts many other rivals to shame. have to remove the ear buds to which he has become biologically attached? The Duo is aimed at such an audience I suspect. This little phonostage has a dedicated moving coil (MC) input, offering higher quality than MM. Since inexpensive ear buds became popular with iPods and a good proportion of that audience seems to have decided it is worth paying more for better quality over-ear headphones, perhaps as the LP returns moving coil cartridges will also become popular; after all good ones now cost £ – much the same as decent headphones. When switching from MM to MC a light-action press button actuates relays internally, giving a slight delay and complete absence of switching cracks or thumps, even with the high gain of MC selected and volume turned up. Internally then, the Duo is more sophisticated than it appears – and also more sophisticated than most rivals, especially at the price. There are no cheap DIP switches underneath and there was also no hum. Best to be aware however that measurement and use revealed it has low gain, meaning low output MCs are not best suited, since volume will have to be turned up very high. However, at the same time this is a super-quiet preamp so even with volume right up there’s almost no hiss or hum. Also on the rear panel is an unusual addition – a balance control. Cartridges can suffer slight channel imbalance, this control allows it to be nulled out. I used a Timestep Technics Evo SL- 1210 Mk2 turntable with SME309 arm – and cartridges were initially an Ortofon 2M Black (MM) and an Ortofon Cadenza Bronze MC. 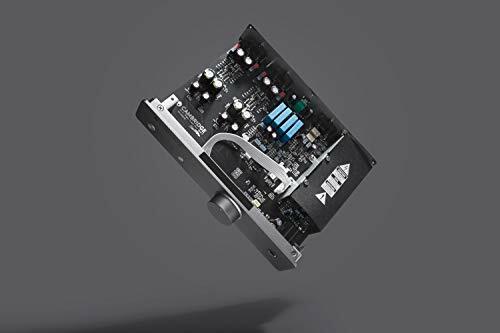 The Duo was first connected to a Creek Evolution 50A amplifier to see how its low gain would influence usage – and all worked well enough: I had to turn volume up but there was seemingly plenty of grunt available. The sound struck me as mellow. 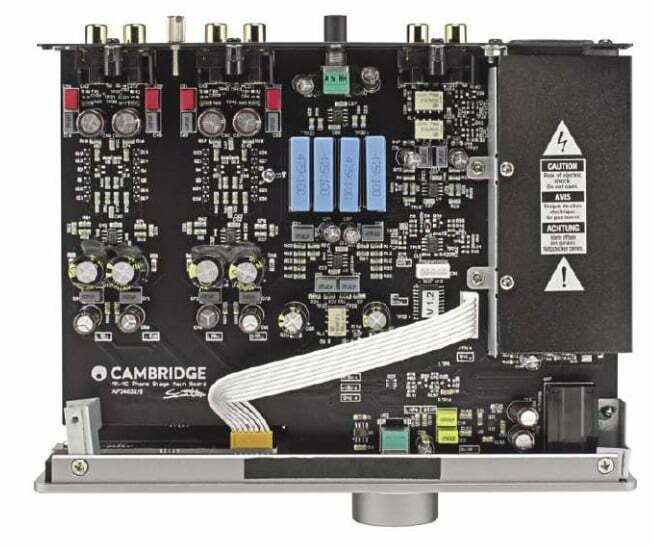 For more critical assessment and expecting a less mellow presentation I moved on to our McIntosh MCI52 reference power amplifier with a Music First Audio passive magnetic preamplifier (0dB gain) that acted as a transparent volume control ahead of it. Loudspeakers with both amplifiers were Martin Logan ESL- X hybrid electrostatics and cables Chord Signature Reference. All components were fed by an Isotek Evo3 Mosaic Genesis re-generated power supply to eliminate mains influence. With the 2M Black I was again struck by the mild treble of this phonostage that our Creek had revealed. But it also sounded smooth, clear and tidy. I measured the Duo fed from the 2M Black to ensure its response wasn’t being affected by input capacitance, but all was well. Slightly unsettled by results from our 2M Black, which is perhaps growing old gently, I fitted a new Audio Technica AT-760SLH to the SME309 arm and this was both crystal clear and forceful up top – so the Duo hides nothing, it just lacks harshness. With the more tonally accurate 750SH stylus the Duo sounded right. Our Cadenza Bronze MC also came across as easy going but at the same time the Duo provided a silky open sound stage with plenty of depth, fully revealing the qualities of the Bronze, where budget phono stages commonly mask its abilities. As LPs span one after the other I came to realise that the Duo is a sophisticate. It is stony silent with MC – more so than is common – and I can tell someone at Cambridge has studied this issue and selected a super-quiet chip. It’s also dynamically quiet: with volume turned a fair way up, when I dropped needle into groove on a Decca re-master (180gm) from Pro-Ject of Mozart Symphonies there was little surface noise: ticks and pops being almost absent. The Wiener Philharmoniker came over as full bodied, strings smooth-to-silky and the sound stage spacious. The rear panel contains moving magnet and moving coil inputs, plus a balance control. Rubber feet anchor the unit firmly on a hi-fi rack despite its relatively small size. Balanced XLR outputs are missing, and bal­anced inputs too (rare). But both add to cost – and this is an affordable unit. Marianne Thorsen also playing Mozart – Violin Concerto No4 – had lost its sheen, instead sounding well lit but convincingly balanced and structurally composed in a natural space. LP was never popular for classical because of ticks and pops, but I hardly heard them from the Duo. It works wonderfully with MC cartridges: think smooth and sophisticated. Rotel RA-1572 I review in this issue, but then warp filters are a mixed blessing, but bass was still strong. Mark Knopfler’s laconic vocals drifted out of a dark background in ’Madame Geneva’s’ from the Kill to Get Crimson LP, underpinned by a fulsome bass line. The Duo has good low- end heft and – overall – teased out and displayed the strengths of a moving coil cartridge with impressive ability. I found I could crank headphone volume up to maximum with Audio Technica’s ATH-ADX5000 headphones and not be deafened. A bit more gain would have been appropriate here but it was not a big issue overall. 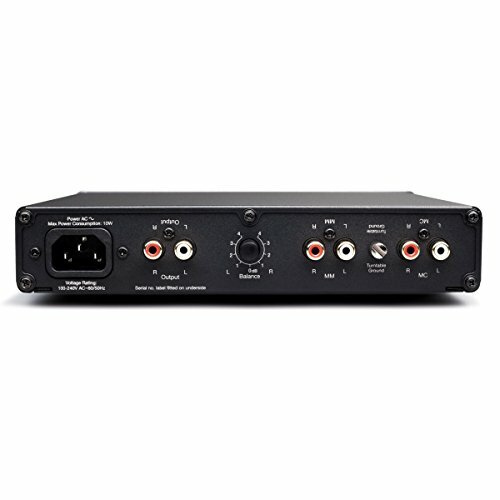 Although seemingly simple the Duo is in fact technologically sophisticated, using logic controlled switching of small-signal relays to give slick thump-free operation. Gain is low so volume needs turning up, but there’s just about no hiss or hum: attention has been paid to this – few rivals at any price compete. With a svelte sound that ably reveals the qualities of a quality MC cartridge, and also gets the best from high quality MMs, it is the one to go for – especially at the price. I was completely impressed – and I suspect (young) headphone users interested in LP will be too. Frequency response of the Duo was identical between MM and MC, not always the case because MC sometimes runs out of puff at low frequencies. It has a perfectly flat response (accurate RIAA equalisation) down to 15Hz (-1 dB), below which an unusually steep warp filter applies – 30dB attenuation at 5Hz – impressive. This eliminates loudspeaker cone flap with warped records. Gain via the Line outputs with MM (moving magnet) was low at x83, meaning the Duo will give barely 100mV out. Volume will have to be turned right up on partnering amplifiers. 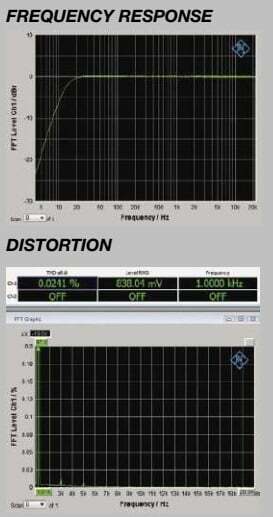 The MC (moving coil) input gave x1000 which is again on the low side. The volume control only influences the front panel 1/4in (6.3mm) headphone socket that delivers 1.7V maximum, before overload. This can be used to drive a power amplifier direct but gain is very low at x55, meaning 1mV in from an MM cartridge will give 55mV out where most power amps need 1000mV for full output. The Duo is distinguished by very low 0.09 muy/V equivalent input noise – better than most MC phono stages on the market. The low MM value means the preamp contributes no noise to that produced by the coil of an MM cartridge. The Duo could do with more gain but otherwise its warp filtering and super low noise make it stand out. 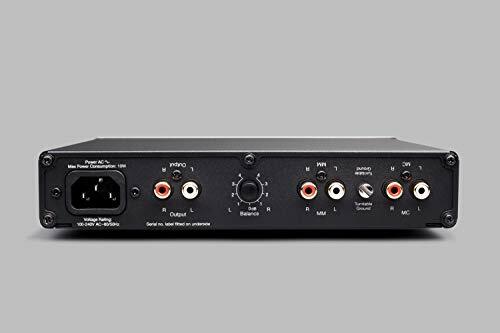 Low cost but high quality MM/MC phono stage that is technologically sophisticated and svelte in its sound. A must have. 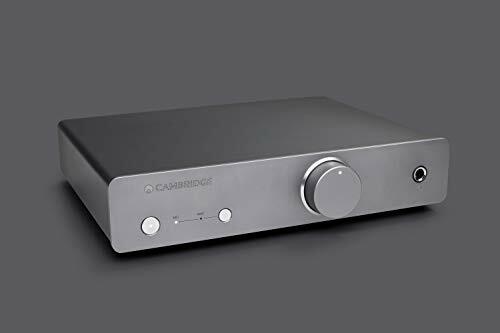 Integrated headphone preamplifier and output lets you enjoy your records in quiet solitude.